From birth and through the years, parents strive to provide support and opportunities for their children to grow physically, emotionally, socially and academically. Parents focus on their child’s first words, first steps, counting, ABCs, writing their name and later progress to making friends, academic achievements, sports accolades and the list goes on. Often, these “milestones” can occur so quickly that life seems to fly by. There can be times when concerns linger about development, and parents search for guidance. For children that need a boost, pediatric therapy can play a vital role in helping kids strive to reach their developmental milestones. VIVA Pediatrics is a family owned home health provider that has been providing Texas children with home health nurses and therapists for nearly a decade. We provide services for infants, children and teens in their home, and occasionally at school and daycare. Our core mission is to staff highly skilled, compassionate and understanding clinicians who take pride in paying close attention to each child’s individual and unique needs. The opportunity to have therapists come into a child’s daily environment puts the child at ease, allows the parents to interact, and relieves the stress of traveling to one more appointment. Each week VIVA Pediatrics is pleased to help hundreds of kids throughout DFW and Austin for their therapy needs. Let’s talk Therapy: What is OT, PT and ST? OT - Occupational Therapy addresses the basic skills for self-care such as fine motor skills, sensory processing and handwriting. PT - Physical Therapy addresses skills necessary for efficient mobility, neuromuscular re-education, therapeutic exercise, and gait/balance training. ST - Speech – Language Therapy evaluates and treats children who have difficulties with speech, language and articulation, communication, oral motor skills and also covers feeding therapy. 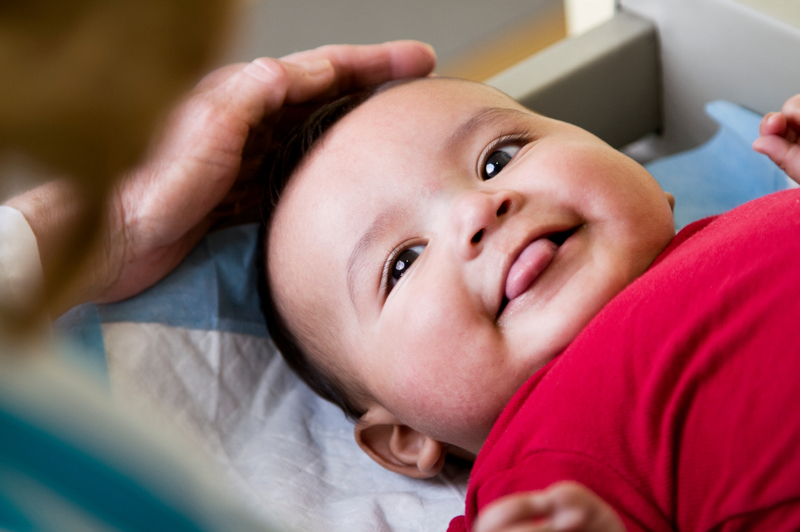 Below you will find a link to our Developmental Health Watch chart that outlines developmental milestones for infants and children up to 5 years old. If you as a parent are concerned about your child’s development or behavior, we recommend speaking with your primary care physician first. If therapy is recommended, your physician can make a referral for a therapist to evaluate your child’s therapy needs. To learn more, call our intake team at 877-323-8482 and ask about our therapy services. We can help you understand your insurance benefits and how to get started.